"God will generously provide all you need. Then you will always have everything you need and plenty left over to share with others." Follow the quick setup process to build your giving profile. After that, giving will be quick and easy online, via text or with the app. If you are a recurring donor you can cancel your recurring donation by visiting your donor profile using a previous confirmation email with a link and by logging in with your email. If you can’t cancel the donation, please email Shelly and she can delete it for you. 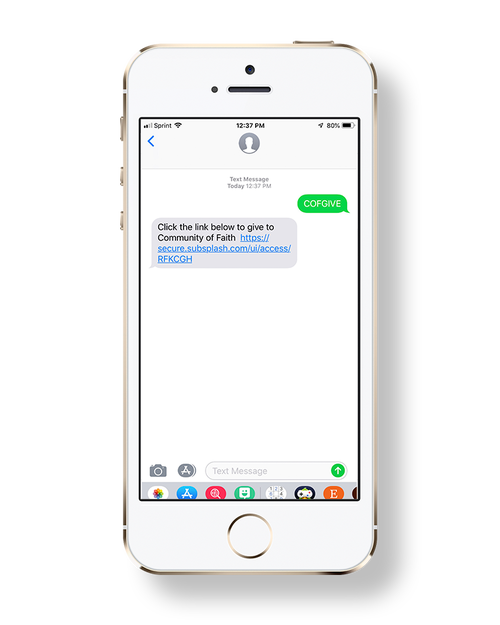 A donor can remove a Text-to-Give number HERE or by texting "STOP" to 84321.